Now that I have your attention, visit travelvision.com and Take The Tour. See why our pick up methods work! Drop those old marketing habits for a fresh, affordable and effective way to market to your potential guests! 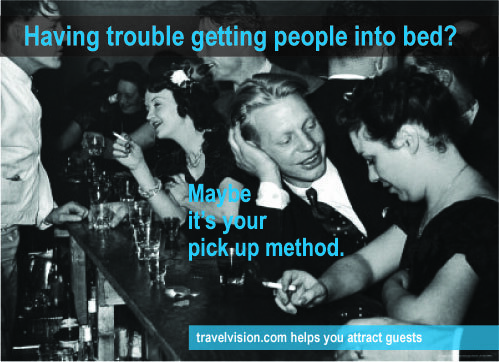 TravelVision can help you fill more beds. If you sign up now you'll pay ONLY $29.95 until August 2013, so don't wait. Log on to travelvision.com now and claim or create your page.